World’s first postcard was sent in the year 1840. And, since then postcard has grown to become a mainstream channel of communication. Throughout the 20th century, postcard stayed as the most popular and reliable among all the mediums of communication. However, today we stand in the middle of a world where there are multiple ways to reach out to people which are faster and the messages are delivered instantly. It is fairly reasonable for anyone to think that postcard is a bit old school in the age of internet and smartphones. Do you also think in the same way? Well, think again. 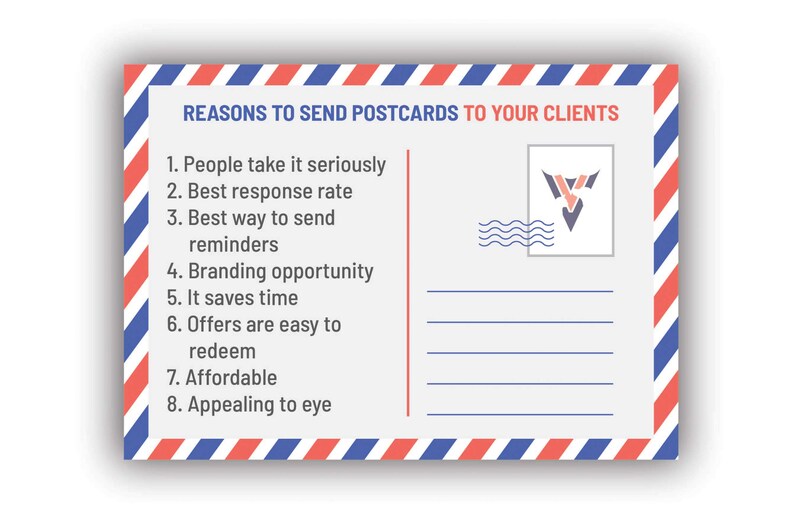 Here, in this article we will share 8 reasons why a veterinary clinic should send postcards to the clients to maintain a long lasting relationship while ensuring good business. Everyday people receive many emails & SMSes, but they do not read it. Even if they read, they tend to ignore it most of the times. Why? Because, there are too many of them. But, do they get too many postcards everyday? Probably not. That is why they give their full attention when they are reading a postcard. Are your clients missing vaccination & routine checkups? Well, it may be because they are missing your reminder emails. Or maybe they are forgetting the mails after reading it. It can have a big impact on your business if a big chunk of clients are not turning up for these appointments. Sending these reminders over postcards will definitely solve this issue as people take the postcards more seriously. Your postcards can contribute a lot towards creating a brand image of your veterinary clinic in the minds of your clients and prospects. Postcard generates the trust and credibility that marketing emails and SMSes cannot. Unlike other direct mailing alternatives which would require recipients to open an envelope to read the message, postcards can be read without any extra effort. Almost 84% of postcards are read right at the moment when the recipients get it. You can send coupon codes for special offers and discounts through postcards. To redeem the offer, all they have to do is bringing postcard with them while coming to the clinic. Postcards are inexpensive to print. Even the smallest of clinics can therefore send postcards to their clients without spending much. A printed postcard gives a visual appeal to the viewer. Adding a sense of personalization can go a long way in terms of making an impression. Sending postcards to the clients will definitely add value to a veterinary business. 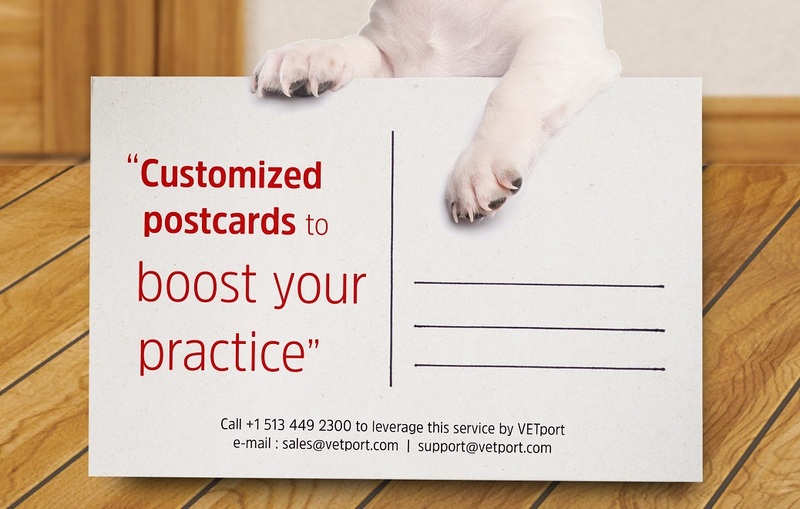 That is why VETport helps veterinary clinics in creating beautiful postcards and sending them to clients. The award winning design and marketing team at VETport take care of the end to end process involved in creating a postcard template, adding personalization to the content, despatching to respective addresses and finally tracking the delivery.